The Twins are Still Kicking out a Bunch of Fish! The Twins are still kicking out a bunch of fish, including lots of 4 to 6 pound rainbows as well as a whopping 16 lb 6.5 oz Brown from Upper Twin!! It’s a bit unusual to see that size of fish this time of the year but you just never know!! The big one was caught trolling but most of the action has been fly fishing deep with streamers and bait fishing with mice tails, pinched crawlers, power bait and crawlers. 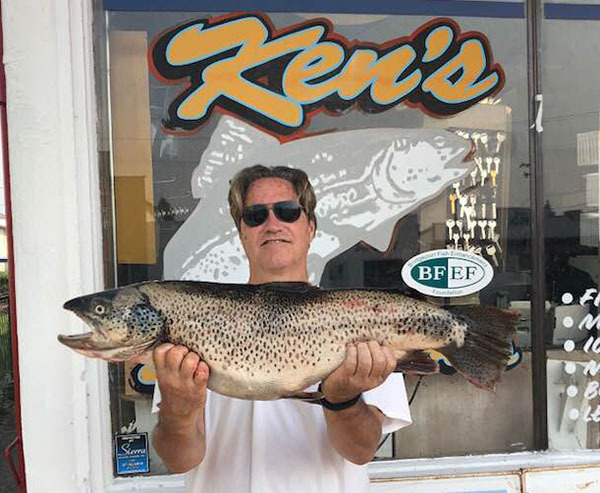 Sometimes in the heat of the summer the lakes in the area can be kind of tough but there seems to be some pretty active fish at the Twins this summer!